Education: Madrassa-e-Daraul Aloom Sharia. He reached the 8th grade, then dropped out to attend religious studies. 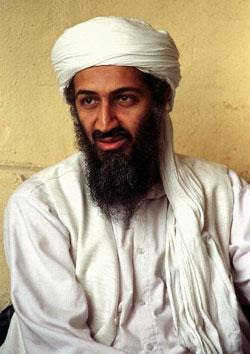 He made it to the 5th grade and dropped out once America started Operation Enduring Freedom in late 2001. Career Highlights: Succeed Baitullah Mehsud as leader of the TTP following his death on August 5, 2009 from a Predator Drone strike. Prior to Baitullah's death, Hakimullah was one of his primary body guards/deputies, as well as acting as the TTP's media spokesman. Prior to leading the TTP, Hakimullah lead attacks against NATO supply convoys traveling through the Khyber Pass. The LWJ reports that the Khyber Pass was closed 6 times due to Hakimullah's attacks. He also led a campaign of suicide bombings targeting pro-Pakistani Government Tribal leaders. Hakimullah Mehsud may have orchestrated the Jordanian suicide bombing against the CIA at FOB Chapman, which would be his greatest career highlight. Family: Son of Abdullah Din Mehsud. Hakimullah is from Ashangai Tribe (sub tribe Kharmat Khel) He has two wives, one from the Ashangai Tribe, and one from Orakzai Agency. He also has 4 younger brothers and 4 younger sisters. He stated his brother Ijaz was a Shaheed or Martyr. Address: Due to his high leadership profile, Hakimullah has to keep his locations a secret or he will end up like his predecessor Baitullah. In the past we know he has operated in the Arakzai, Khyber and Kurram Tribal Agencies in the FATA. He is also likely to frequent both South and North Waziristan. 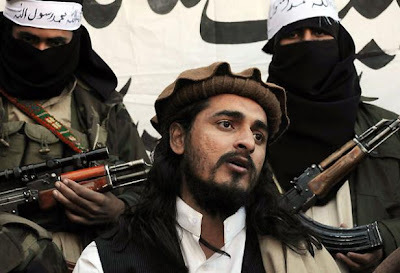 Assessment: Hakimullah Mehsud is part of what I am calling the "2nd Generation Taliban." He was too young to take part in any of the Mujahideen operations against the Soviets in the 80's. I believe this will lend to an even more radicalized version of the Taliban focused on attacking the Pakistani government and American interests abroad. I have been working hard on the analysis of the interactions between the TTP, HQN, and AQ spurred from the video of Hakimullah with Balawi. Expect to post it either this week or next. “Today, on the 16th of January, I am saying it again -- I am alive, I am OK, I am not injured... when the drone strike took place, I was not present in the area at that time,” Mehsud said.